Balchik. Looking for the perfect break? Balchik. As a beach destination - ‘No’. As a ‘weekend (town) break’ destination - ‘Yes’! Balchik is currently one of the best small-scale holiday resorts on the Black Sea coast. It is not as loud or crowded as Sunny Beach and Golden Sands, but this town still receives more than enough attention from tourists. Balchik is not a big party or beach destination, which makes it much more suitable for relaxing vacations and sightseeing. And believe me – there is a whole lot to see here. Moreover, the palace and botanical garden area have several classy restaurants, which made Balchik popular among couples, and numerous weddings happen here every year. It is entirely understandable – the area is gorgeous both during the day and night. Balchik stands out among Bulgarian Black Sea resorts thanks to its rich history, engaging atmosphere and splendid climate. Balchik is not merely a town – it is a whole new experience. Rent-a-car: This is one of the more comfortable ways to travel around the Black Sea region. It is in many ways ideal: comfortable, flexible and not very expensive. Visitors can choose from a myriad of car rental companies available in Bulgaria. The best aspect of renting a car is the wide range of promotions offered by various providers at the same time meaning that you can usually find a great deal. 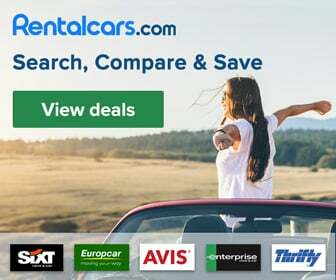 Find cheap car rental deals now! Private transit: The private transfers are a lot like taxi services, except that they are a bit more expensive and drive better cars. Prices vary a lot and depend on the transfer provider. This is usually the fastest but a more expensive way to get to Balchik from the Varna airport. Our partner "Transfer Bulgaria", provides safe and reliable transfers anywhere in Bulgaria. Contact details: 'Transfer Bulgaria' tel. +359 878 858 974, +44 20 8144 0801. By bus: The cheapest and slowest way to get to Balchik. From the Varna airport, you should grab the bus no. 409. It travels all the way to Golden Sands, so it is a good idea to use it if you want to look around before getting to Balchik. The bus also passes through the Varna’s downtown and the central bus station, letting you change bus for a more direct transport towards your destination. Balchik is quite a rich and interesting place with regard to sightseeing. The town has gone through several different eras and has a lot to show for it. One of the most famous landmarks is the botanical garden. It was created back in 1955 by the Sofia University. The garden specializes in growing various specimens from exotic and tropical collections. Currently, it holds over 3500 different types of plants, some of which are considered endangered by the Washington Convention. The botanical garden is splendid for strolling and relaxing. The Balchik Palace is another large landmark in the otherwise small town. It is a whole park complex and is comprised of several buildings. It used to be the summer residence of the Romanian Queen Maria Alexandrina Victoria de Edinburg from 1875 to 1938. The palace is located about 2 km southwest of the town center. The whole complex encompasses several villas and other buildings, very close to the sea. Some of the first Bulgarian mills were built there. Nowadays, these mills have been restored and are being used as hotels. The Balchik Palace is open to visitors all year round, but the best time to visit is between May and October. The complex is open daily from 8.30 am to 6 pm. Entrance fee for adults costs - 10 leva, for children aged 7-18 years – 2 leva, and for children up to 7 years old is – free. The entrance fee to the botanical garden is 5 leva for adults and 1 lev for children aged 7-18 years. Balchik is amazing in every other regard, but it lacks good beaches. There is only one small central beach and another one, which is artificial. They are okay for catching some sun, but not for a full-fledged beach vacation. However, there are a few fabulous beaches several km from the town. Albena resort, which is among Bulgaria’s best beach resorts, is close by, and you can easily get there. Another beach nearby is the White Lagoon, 9 km north of Balchik. Tuzlata is also close – only 4 km away. It is a popular balneal center with therapeutic mud and thermal springs. Balchik is situated in the northern part of Bulgaria. Combined with the fact that it is on the Black Sea coast, one can safely assume the weather is perfect for summer vacations. The average temperatures are quite consistent during the summer, ranging from 19°C to 24°C. Balchik does not get too much rain, and you can expect over 18 sunny days per month. With all that said, you should still bring some warmer clothes – the nights can get chilly, due to the sea breeze intensity and humidity. The days, however, are perfect for long walks, beach activities, sports, hiking, and sightseeing. Kaliakra Cape is an elongated rocky peninsula, which is a favorite spot for locals and visitors alike. Cape Kaliakra is situated 34 km north of Balchik town or approximately 30 min drive on road e87 and then 901. Aside from the legends, Kaliakra boasts long and rich history, dating back to Thracian times, around the 4th century B.C. The slopes start at 60-70 meters high and follow right into the sea. The rich history allows for some unparalleled views. Among the many caves in the area, there is one that was turned into an archeological museum and displays various artifacts found in this area. Kaliakra is also a natural and archeological reserve with an area of 687.5 acres. Aside from the breathtaking views, tourists can enjoy over 400 types of plants, 310 species of birds and other animals. One of the rare sights near Kaliakra is the sightings of dolphins. They frequent the cape and can be seen without binoculars. The place is truly magical – climbing and exploring the old fortress is a real adventure! What to expect from Balchik? Balchik is worth a visit, and not just once. We recommend visiting Balchik for your weekend break or ‘city break’. The town can offer a variety of activities to choose from. Overall, Balchik is a perfect place for a peaceful break. This does not mean you will not have any fun – on the contrary. Nearby places can easily fill the gap. Since Balchik is relatively small and has beautiful natural surroundings and captivating history – it is best when visited as a ‘town break’, although it is not ideal for family trips. Sightseeing simply means a lot of walking, and often uphill - especially when visiting botanical garden and palace. For that reason, we would not recommend bringing your children younger than 12 years old for a Balchik exploration. Eat in one of the many restaurants alongside the seafront.